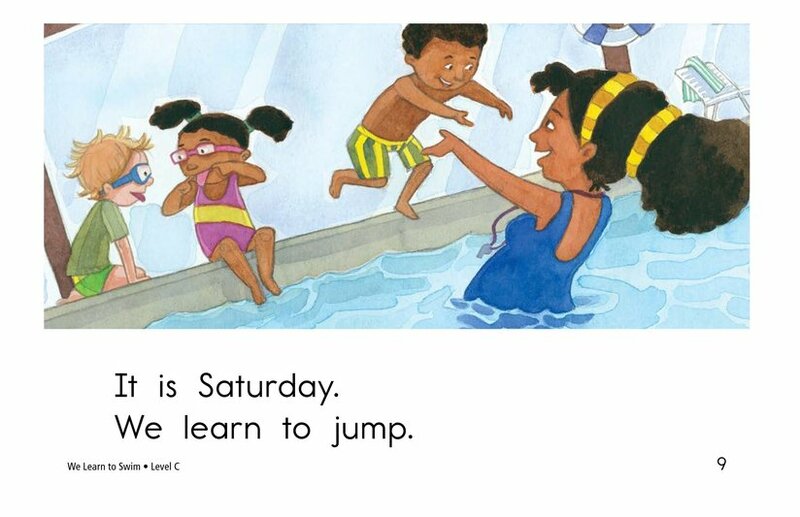 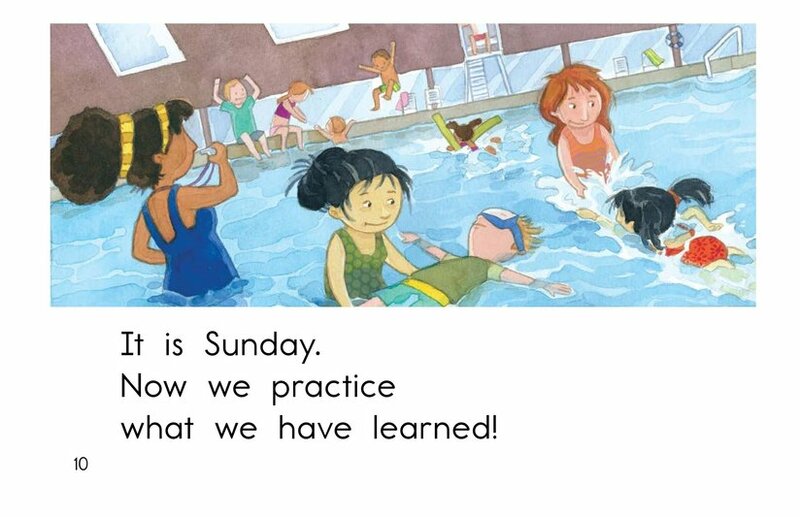 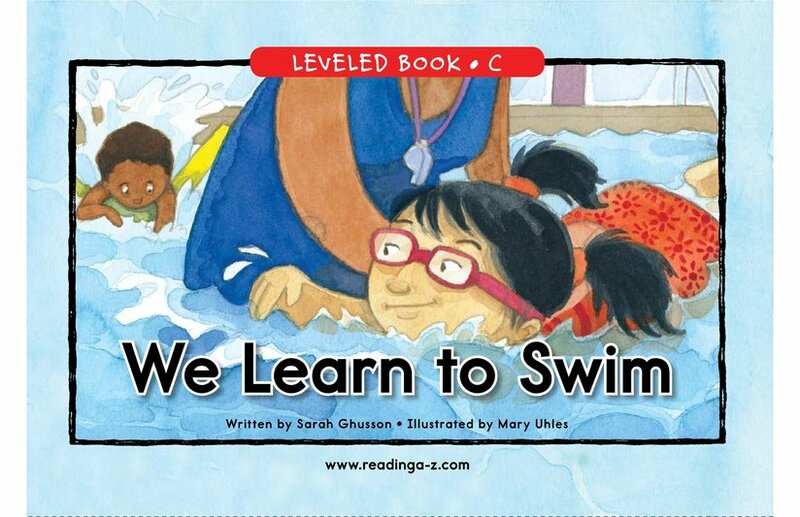 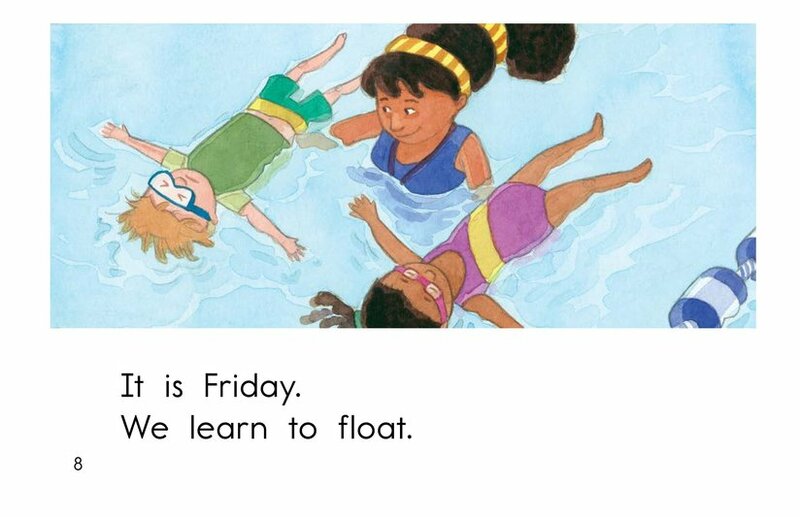 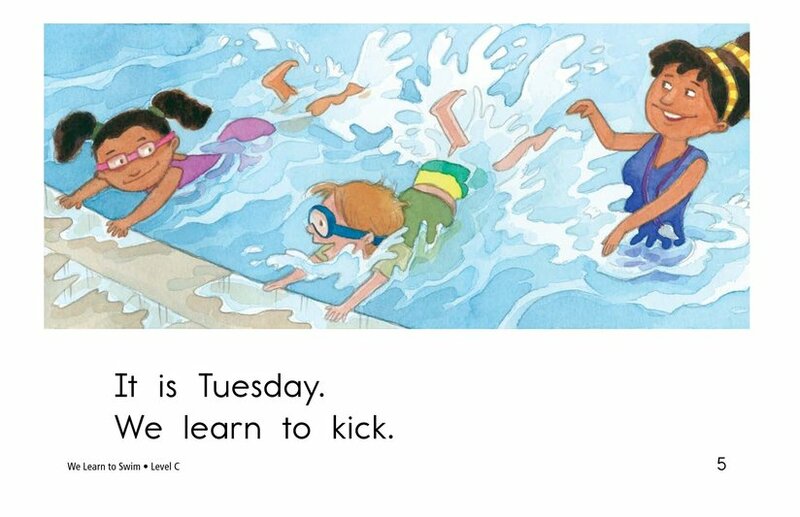 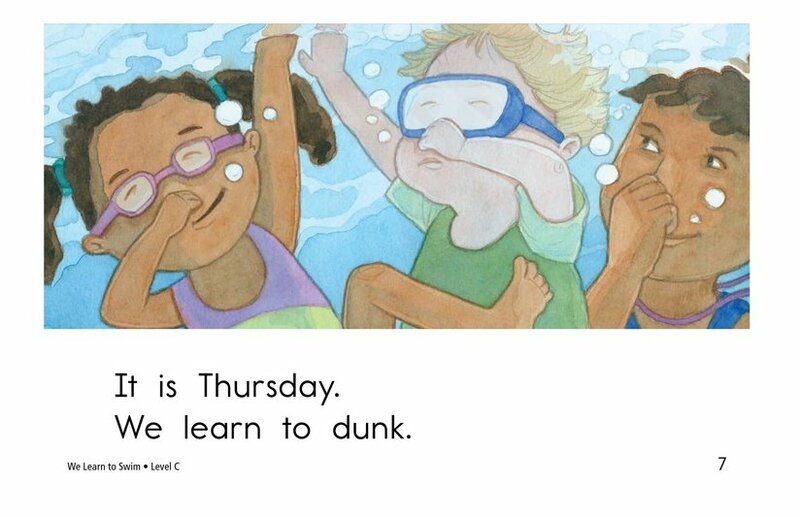 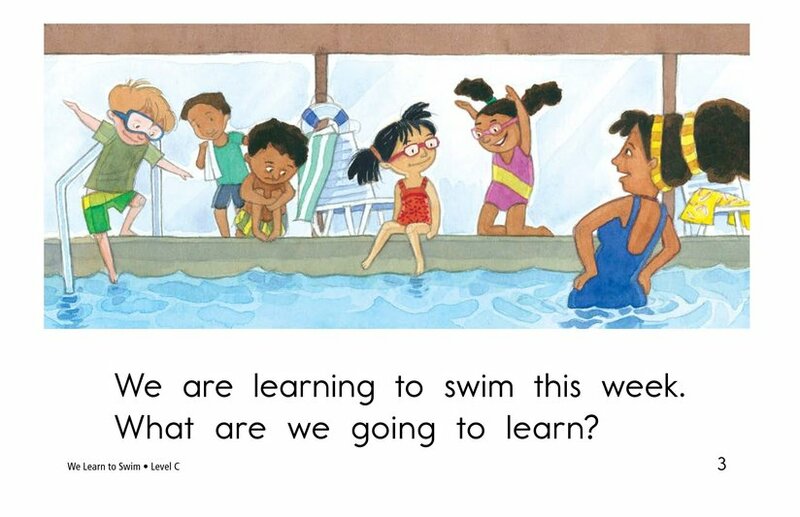 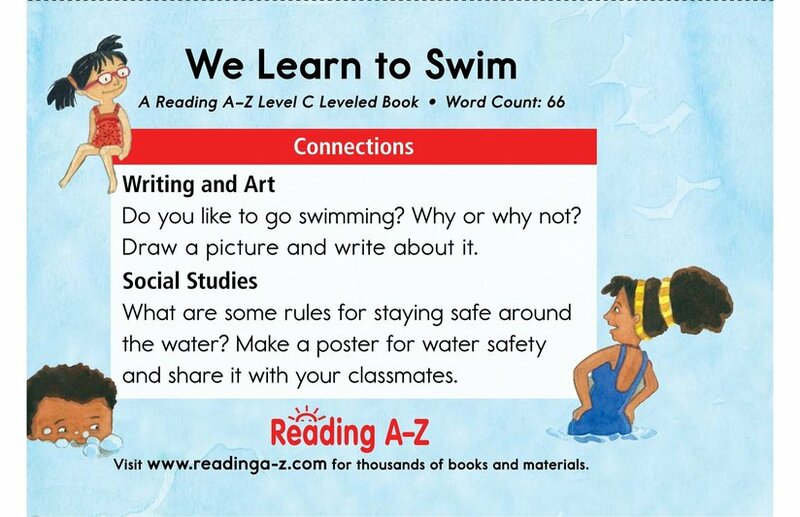 We Learn to Swim is a story about a group of children who are learning the many different skills they need to swim. 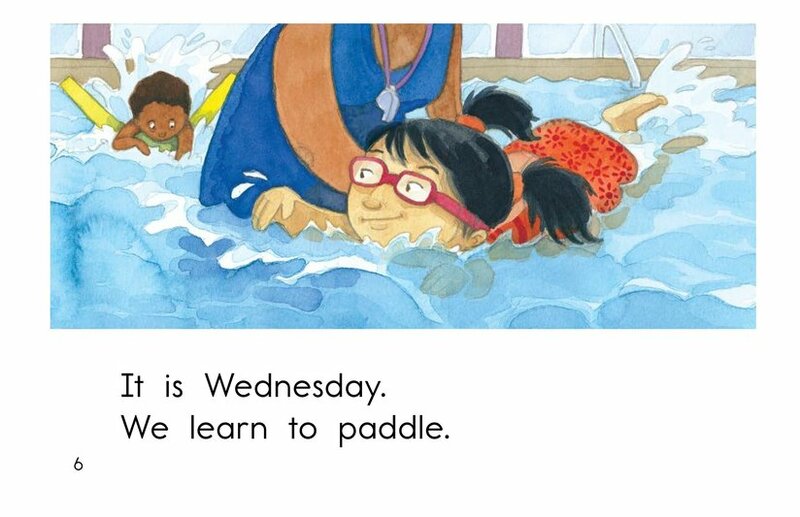 The repetitive text pattern and colorful, descriptive illustrations support emergent readers. 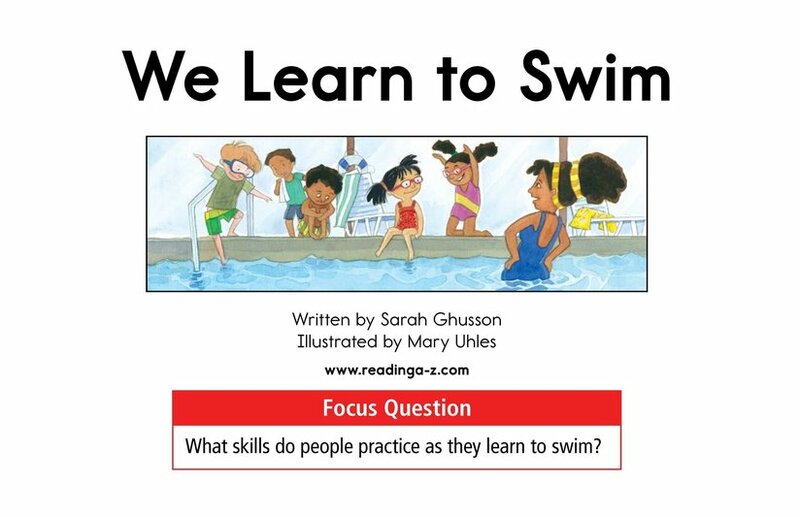 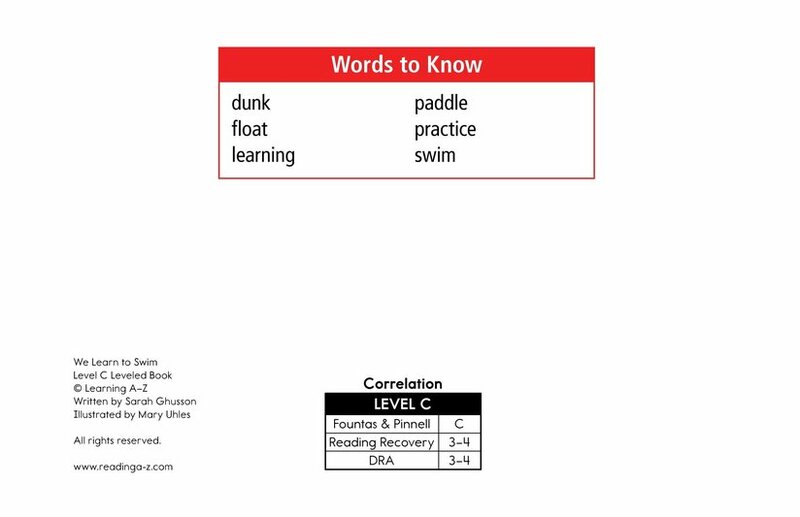 This book can also be used to teach students how to understand sequence of events, as well as to connect to prior knowledge to better understand text.